Signature Quilt for Lora | OccasionalPiece--Quilt! Posted on October 5, 2014 by Elizabeth E.
Lora suddenly moved away and two of us in our church group decided she needed a quilt to remember us. One day she was here, puttering around in her house. Then a fall, where she wasn’t discovered, which led a brief stay in a skilled nursing home. Her children rallied round her and took her to live near them, where Lora can be cared for. So I went looking for ideas for a signature quilt (see them at the bottom of this post), and decided on the basic signature quilt block since it needed to be put together quickly. My friend Lisa (who is our friend’s niece) and I decided on a 6″ block. 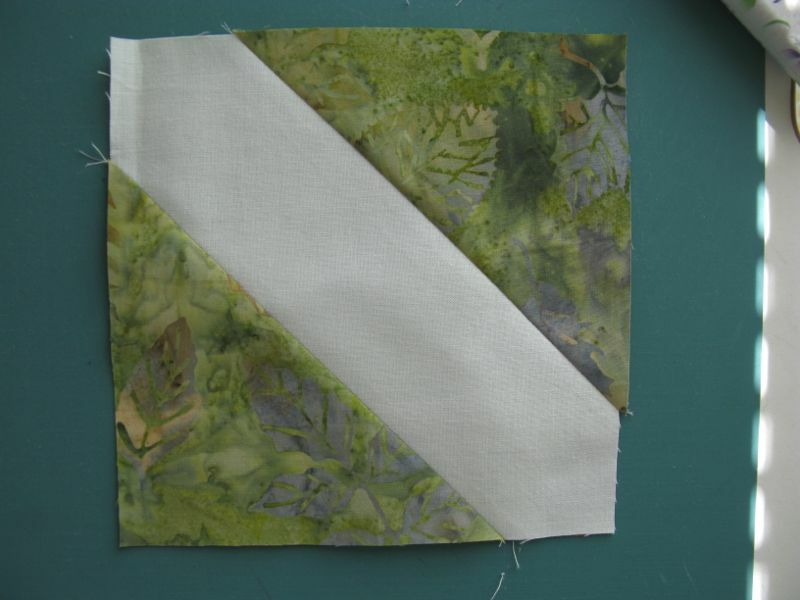 1–Line up the contrast square with the light-colored square and sew a diagonal. I use The Angler tool from Pam Bono so I don’t have to draw lines. 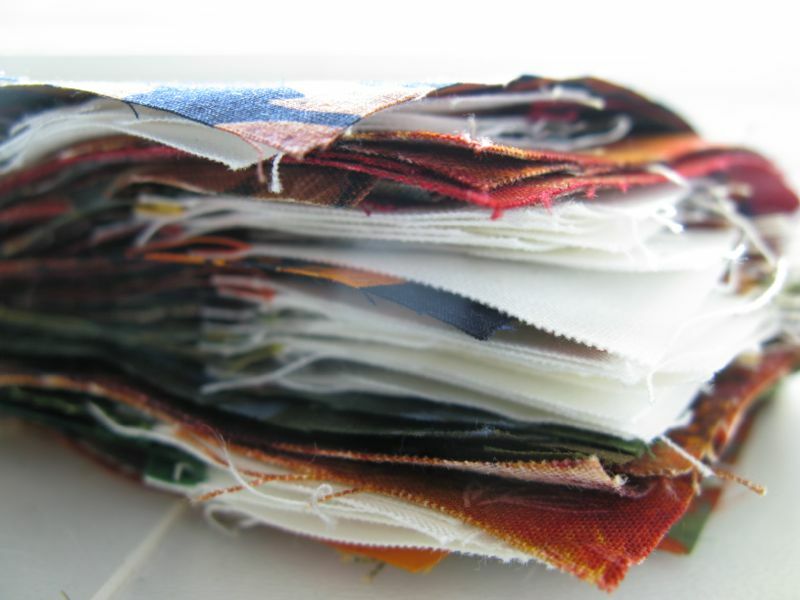 Stitch a batch of blocks, then go back in and stitch 1/2″ away. 3– Sew the other side (which is what you see above). Done. I then cut a bunch of strips of freezer paper and ironed them on the back of the white strip, so to make it easier to sign. We’ll have them sign with a Micron Pigma Pen .08 as it leaves a nice line. This same process is the one I follow when we make Signature Blocks for our bee, only we use the light colored fabric cut to a 3 1/2″ square and the contrasting “snowball” blocks are 2 1/2″. I don’t save the triangles on those. I signed mine so you can see what it looks like. Here’s a signature quilt, pulled from the web (sorry, I don’t have the attribution), and they used their extra HSTs in the borders. Here’s another version, without borders. Lora, in her earlier years, made wedding cakes. The rich, the famous, the well-heeled, and well, all of the young girls in our church all sought out her cakes, because not only did they look elegant and beautiful, they tasted good. Rich and yummy, full of vanilla fragrance and just the right amount of sweetness to make you come back for seconds. Or thirds. For my daughter’s wedding, she also made a double-fudgey chocolate groom’s cake. It was only at the very end, a year ago, that she gave two of us her secret recipe for the frosting, and the secret ingredient that made my kitchen smell like her cake was baking right there. She also did flowers, interior decorating, and we loved it when she decorated the church hall at Christmastime for our church dinner, transforming it to a winter wonderland, making us all feel like we were the rich, the famous, and the well-heeled, instead a bunch of modest church-goers. Lora did everything up Big. Every year she would get the giant wreath out of the storage closet at our church, get a ladder and hang it up on the wall behind the speaker’s podium, arranging and re-arranging the red glass balls so they looked like someone just tossed them up there. That look takes real skill. Lora was part of the warp and weft of our church, and while some say she’ll be back, others say she won’t. I think the reason why this affected us all so much is that within the space of a couple of weeks, Lora’s life spun around on a dime and her life in her home, which she had decorated in rich autumns and golds, was probably over. That quickly. Yes, she’d had some health problems. Yes, we knew she was more frail. But how our lives in our carefully curated homes end is not something any of us like to think about. So a fall can happen, or a sudden health reversal, and like a flash, we can be taken from our collections, our quilts, our memories: a sudden shearing off of a life. And what happened to Lora is right around the proverbial corner for all of us, and we know it. So perhaps by making her this quilt, we are saying we understand. To the best of our abilities at this younger times in our lives, our hearts ache for you. With this quilt we are saying, Lora, you are not forgotten. What a stunning quilt! What a clever idea to do the double stitching on the corners. A touching story, and with friends like your group…. I am certain Lora will know, through your generosity, that she is loved and remembered. And every time you see that Christmas wreathe you will remember her and the love she shared! A beautiful story! This is so sweet, Elizabeth. Lora sounds like a very special lady. You have so much history with her! That’s what I miss about having moved 2-1/2 years ago, from the place I’d made 22-plus years of memories. This post makes me miss my friends, who no longer stay in touch. “Out of sight; out of mind.” Bless you and Lisa for taking the time to make this quilt for Lora. Your efforts speak volumes about the lovely person Lora must be. A beautiful tribute post!!! I can certainly tell how your heart breaks for her. The quilt will bring much warmth and love to her, I’m sure. Hugs and blessings to you all as you stitch this together with stitches of love……………………. What a wonderful gift that will be for Lora. She sounds like an amazing and talented woman who will always be wrapped in the love of her friends. As you say, our lives can change in a moment…we just never know. A lovely and truthful story. Bless you for sharing the story of your friend. And for making her this beautiful quilt , I know she will cherish.I hope you are able to stay in touch with her for a long time. Thank you so much for sharing. Your words really touched me. Lora is going to be so happy to get your thoughtful, lovely quilt. Blessings. Beautiful post. Lora sounds amazing. She is going to love your quilt. Wow how very very special. Lora sounds like an amazing woman and she will surly get much joy from such a special gift. I love the setting you used too. Makes me want a siggie quilt. Great post–so heartfelt and reflective! 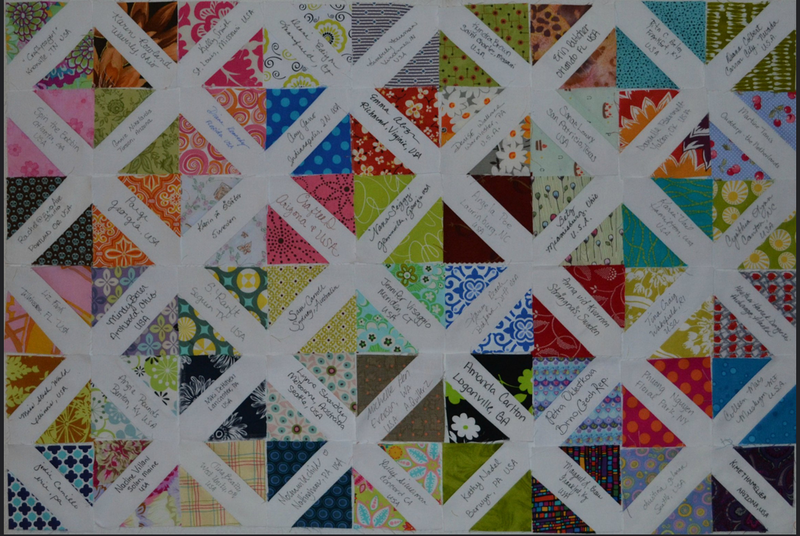 Your quilt is gorgeous, and I love the idea that the tangible quilt, which will last and serve as a reminder of friendship, balances the uncertainty and impermanence of our lives. What a touching tribute to a very special woman, made by another very special woman! I suspect Lora knows how well loved she is and having this quilt will wrap her in that knowledge when the days get longer and less bright and when she needs a reminder. Altogether beautiful. Bless your friend; may she live out her days knowing she made a difference by creating and receiving love. I have read this post a few times now. What a beautiful tribute to your friend. I hope she is doing well! 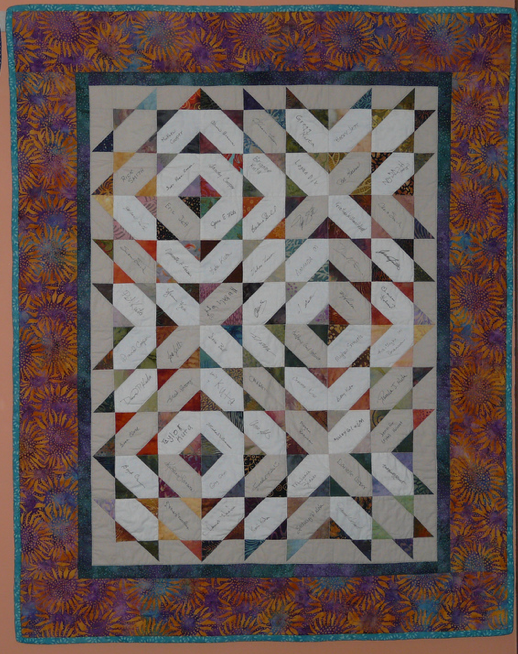 Pingback: Moments of Friendship | OccasionalPiece--Quilt! 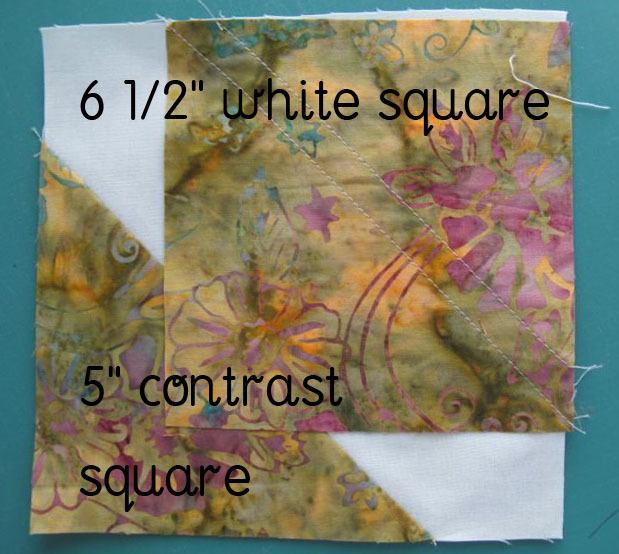 Pingback: Lora’s Quilt | OccasionalPiece--Quilt! I happened upon your blog today Sister E. She is immortal in our family for her cakes. Our kids even had the pleasure of tasting them when she made Sal’s mother’s 90th birthday cake about 5 years ago. I wonder if that was one of the last times she did a cake. A wonderful lady! I stayed “overtime” on your blog post today, and ventured around and found this signature quilt. I coordinate quilts for our church, making them for our graduates. 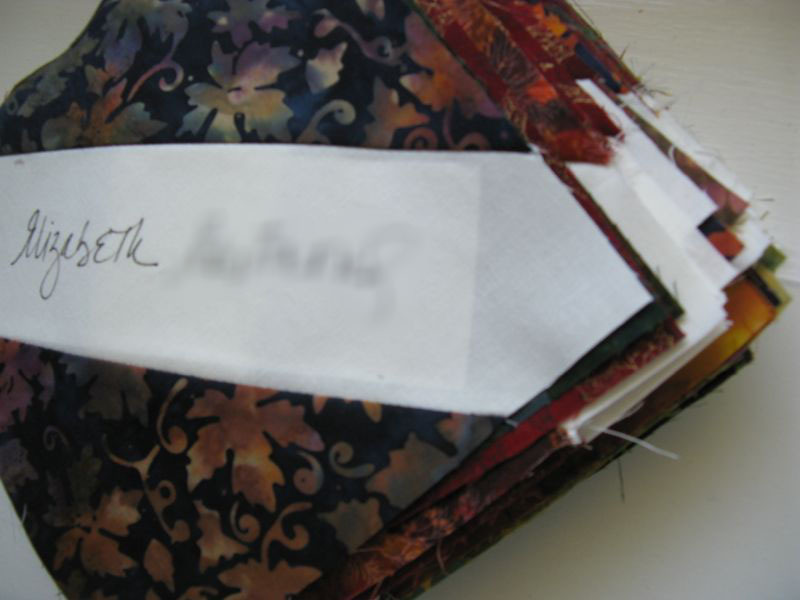 I often get “bored” with our 8.5″ squares. Over the years we have ventured into new layouts and given everyone the latitude to do new things. Because we “sign” the quilts we always insert neutral blocks for messages of love and God’s grace by the members. I do love the way this block can work out into so many interesting patterns. I think this year I will take some “left-over” blocks home and play around a bit. Because I have “hundreds” of 8.5″ “contrast” squares already cut I will have to do a bit of mental math to figure out how to scale up your project. I am thinking that using my 8.5″ contrast squares, I would need my neutral to be 10″. Does that seem right? I do hope your project brought happiness to your friend as she made this transition in life and that she is settled with her family.